Do people with mental retardation have a special prophetic role? In the field of developmental disabilities, Wolf Wolfensberger is famous for his seminal book Normalization. But Wolfensberger is also a theologian, and the two strands of his thought are inextricable. The Theological Voice of Wolf Wolfensberger showcases his theories on the spiritual meaning of mental retardation and other disabilities. Up until now, Wolfensberger's work has been available only in small, hard-to-find publications, mostly in the field of human services. Thus his theological perspectives have not yet been heard in many religious circles. 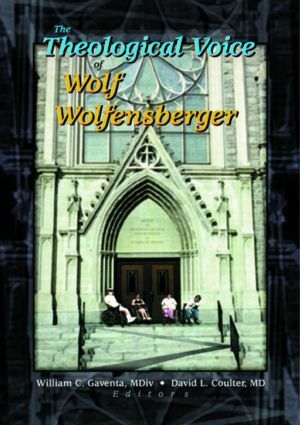 The Theological Voice of Wolf Wolfensberger brings together his essays and presentations from the past thirty years, giving the reader a unique pathway into his pioneering ideas on the spiritual implications of developmental disabilities. In addition, the volume includes critiques of his thought by several noted scholars and practitioners, along with Wolfensberger's response to those critiques. The Theological Voice of Wolf Wolfensberger is challenging, inspiring, and sometimes infuriating. It is bound to stir up controversy among health care professionals, disability advocates, and anyone concerned with spiritual matters. You may not agree with Wolfensberger, as some of the contributors to this volume do not, but he will make you think . . . hard.